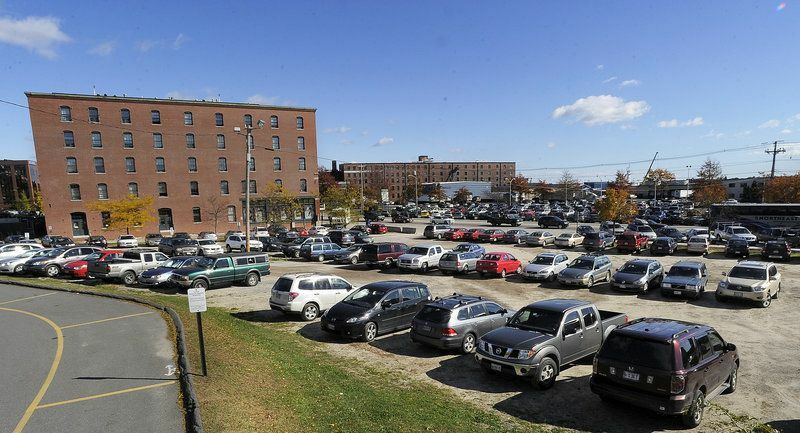 Portland OKs new hotels on waterfront, Exchange St. The $22.5 million in hotel developments will add more than 230 rooms and two restaurants to the Old Port area. PORTLAND — The Planning Board on Tuesday approved $22.5 million in hotel developments that will add more than 230 rooms and two restaurants to the Old Port area over the next few years. A 131-room Courtyard by Marriott with 14 penthouse apartments was approved at 321 Commercial St., near the Portland Fish Pier. An artist's rendering of the proposed Courtyard by Marriott planned for a site at 321 Commercial St. now occupied by a dirt parking lot. Opechee Construction Corp.
A developer plans to convert the former Portland Press Herald building at 390 Congress St. into a 110-room luxury boutique hotel and restaurant. 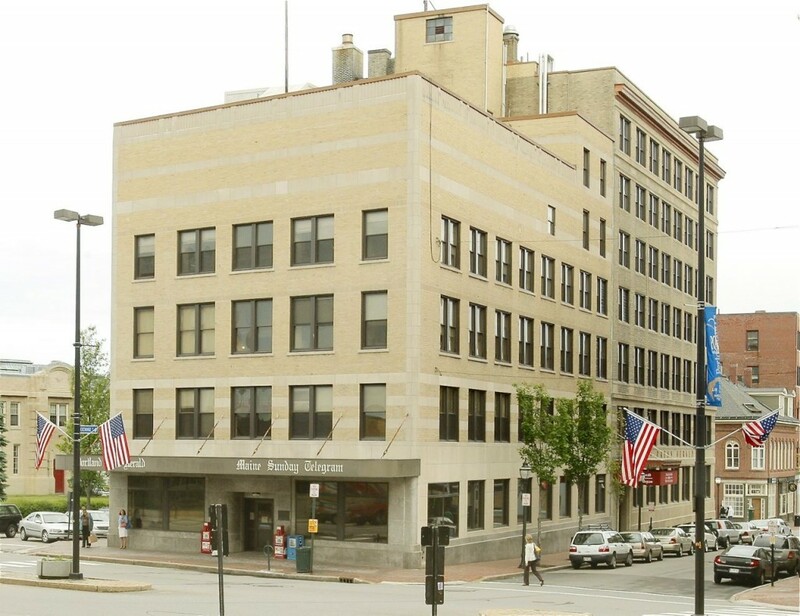 The board also approved a 110-room hotel and restaurant to be located in the former Portland Press Herald/Maine Sunday Telegram building on the corner of Congress and Exchange streets, across from City Hall. 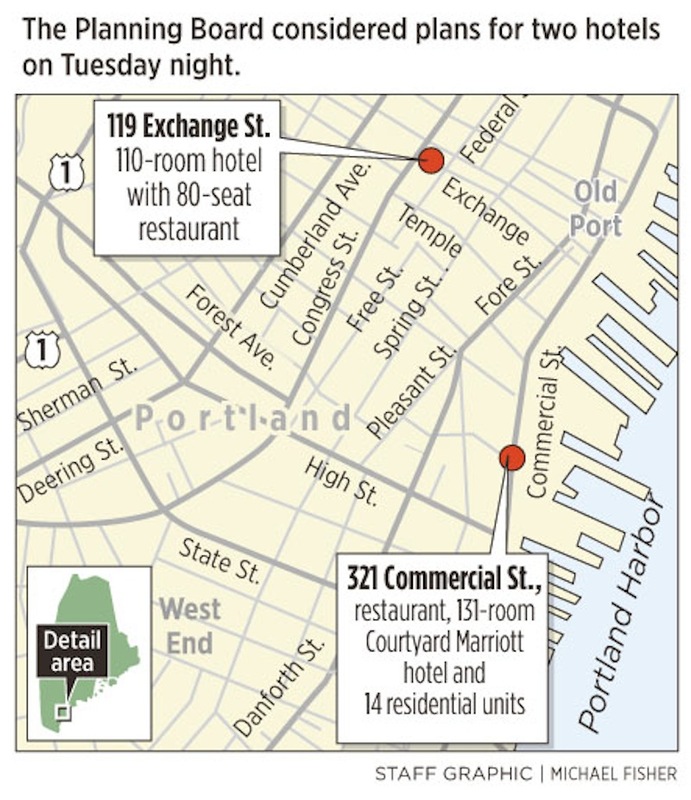 In the past three years, nearly 300 hotel rooms have been added in downtown Portland, and a plan for the 123-room Canal Plaza Hotel at the corner of Fore and Union streets also was approved recently. The Courtyard by Marriot is being developed on property owned by J.B. Brown & Sons. Work on the $17.5 million project is expected to get under way in late February, with the goal of opening in June 2014, said Vin Veroneau, president of J.B. Brown, one of the city’s largest landowners. “We think this will encourage some additional investment in this area” of Commercial Street, Veroneau said. He estimated the project will generate about $250,000 in new property taxes. The hotel will be located in a historic zone. The Historic Preservation Board approved the design on Jan. 16, after making several changes. The board is requiring the hotel to feature several different window designs, and to make changes to the pedestrian plaza next to the hotel entrance at Maple and Commercial streets. The board also asked the developer to alter the shape of the building along Foundry Lane, which runs between the proposed development and Baxter Place. That lane will be used by vehicles and pedestrians. The total proposed building floor area is 111,180 square feet, to be built on an existing gravel parking lot. There will be 33 parking spaces next to the hotel, and another 72 off-site spaces will be used through a valet service. “I’m very interested to see how your valet service works out,’’ said board Chairwoman Carol Morrissette. At 390 Congress St., the former Press Herald building will be converted into a luxury boutique hotel. The $8 million project is expected to get under way this summer and be finished by mid-2014, said Jim Brady, who represented the developer, 119 Exchange Street LLC. Brady said the hotel may be affiliated with a national brand, but he would not disclose details. The hotel will feature an 80-seat restaurant on the ground floor facing Congress Street. 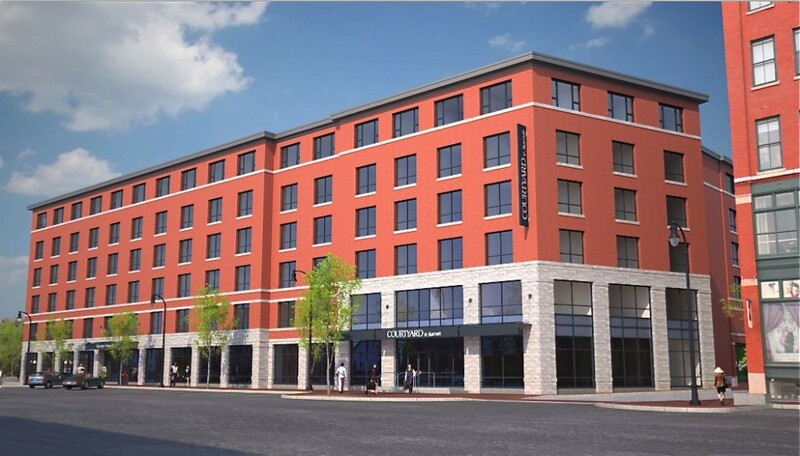 The hotel entrance will be located on Exchange Street, where several parking spaces will be lost to create a wider sidewalk at the entrance and an adjacent drop-off area for hotel guests. Those alterations raised concerns from the owners of 120 Exchange St., an office building across the street. The owners supported the project, but feared the wider sidewalk would create congestion and that hotel guests would use the office building’s drop-off zone. Brady said developers were planning to place metal posts and “no parking” signs at the sidewalk extension, along with signs directing traffic to the hotel drop-off zone. Parking will be offered in several locations, including a commercial lot across Congress Street, a parking garage at Temple Street and metered on-street parking. Parking along the building on Market Street will remain diagonal, but the angle will be reversed so cars on the one-way street will back into the spaces. Planning Board members were largely supportive of the project, since it will reuse a large office building that could have remained vacant for some time. “I think it’s a phenomenal project,” said board Vice Chairman Stuart O’Brien. The Historic Preservation Board must still make a final review of the Press Herald building project in February, and the City Council must sign off on parking changes for both projects.